Experiencing the roughest weather conditions of any yacht in the Transatlantic Race 2011, Sasha, skippered by Albrecht and Erika Peters (Munich, Germany), crossed the finish line at The Lizard at 20:10 UTC on 17 July. At sea for over 22 days, the husband and wife team sailed their 1970 Sparkman & Stephens-designed wooden yacht with another couple, Christine Beech and Ron Melton of Picton, New Zealand. 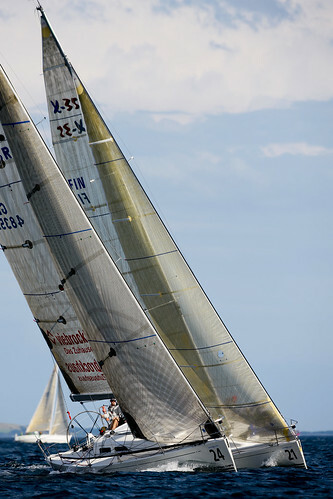 With Sasha’s finish, all 26 of the yachts which left Newport, R.I. over the course of three staggered starts have now successfully completed the Transatlantic Race 2011. As Sasha approached the finish, a storm took hold in the Western Approaches generating very high waves with overhanging crests; large patches of foam turning the sea white with rage; and large amounts of airborne spray that dramatically reduced visibility. Despite Sasha’s wild finish the team were unable to eclipse the corrected time of Jacqueline IV, which means that the McCurdy and Rhodes 42’ skippered by Robert Forman (Bay Shore, N.Y.) retains third place in IRC Class Four. Includes some great footage of Mar Mostro in close quarter action. During the second race of day 3 at the Extreme Sailing Series in Qingdao, China, The Wave, Muscat skippered by Torvar Mirsky suffered a dramatic capsize and luckily the crew was uninjured. In almost unprecedented conditions in Qingdao, the wind was gusty from 3 to 30 knots. Passage Race Geelong Portarlington_007, originally uploaded by Olivier Caire Photography. 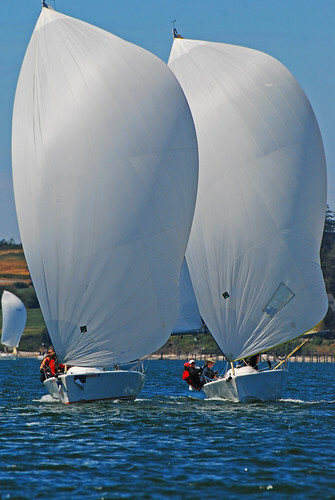 Whidbey Island Race Week regatta, originally uploaded by dschultz742.